The Diaspora isn’t coming back to the country until such time a new constitution is implemented, Opposition Leader R. Sampanthan said in Colombo recently. Speaking at an event organised by Chamber of Young Lankan Entrepreneurs (COYLE) he said that they (Diaspora) are waiting for the implementation of the new constitution which is to be introduced shortly. Sampanthan stressed on the importance of developing the agricultural, fishing and livestock sectors in its progress march towards making Sri Lanka a hub of the region. He re-iterated that ETCA must be protected and that Sri Lankan entrepreneurs should take advantage of the business opportunities opening up with India and that with careful planning Sri Lanka could exploit the Indian market with the growing of grains forexport to this vast market. The Opposition Leader assured the membership that the local business community and entrepreneurs would be protected against any exploitation by India in this regard. Some of the members of COYLE said that the Free Trade Agreement was already in place since 2000 but it had not benefited Sri Lanka thus far, but been more beneficial to India due to the tariff barriers imposed by them. Another concern raised was why there isn’t any objection raised by the Opposition Leader with regard to poaching carried out by Indian fishermen. His response was that it was definitely unfair to local fishermen and that the matter was being taken up with the Indian Government. Other issues raised by COYLE members included; Development of business opportunities in the North, to which the Opposition Leader replied that several dormant factories etc. could be revived and due to the manyunemployed youth in the North, it would be conducive to making them profitable ventures. A query was also made if COYLE could liaise with a Business Chamber in the North to which Sampanthan replied in the positive and that his office will assist COYLE in any way to reach the Northern business and investment sectors. This was the first time that the Opposition Leader had addressed the Chambers. 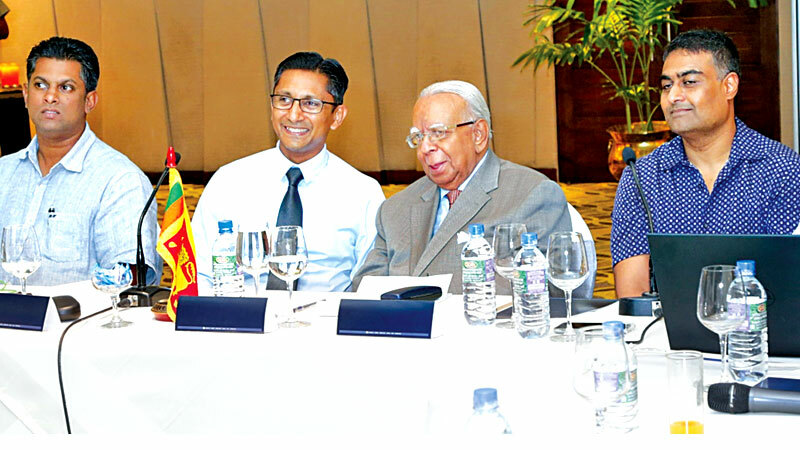 COYLE Chairman Kasun Rajapaksa emphasised the need for a national trade policy and that COYLE has put forward its concerns to the Government on this vital issue on several occasions, with special emphasis on the ETCA being pushed through.